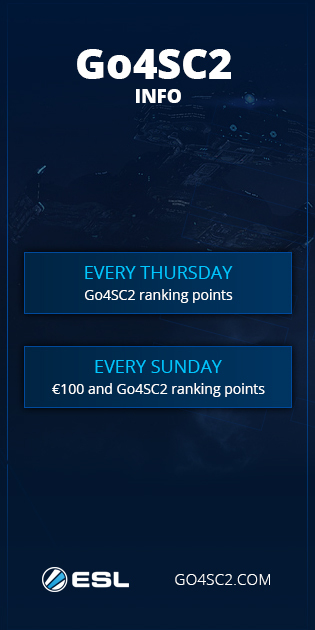 These are the rules for the Go4SC2 Europe Cup #458 (€150). We make every effort to ensure the rules are complete and up to date but this may not always be the case. You should also check the Info Page and News for additions, exceptions and modifications that may apply. 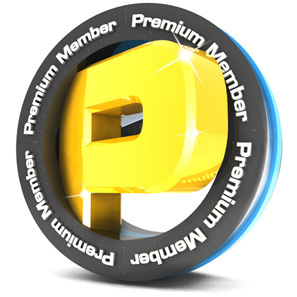 The rules are a guideline and the decisions by admins may differ from them depending on the circumstances. If you have any questions about the rules, please write a support ticket. If a Cup Chat is available during a cup, all attempts to contact an admin, including support or protests, must be made through it. We do not take responsibility if attempts made through other channels including support tickets or protests are not seen in time to be handled. If a contestant is not ready to play, 15 minutes after the match is available on ESL, then they should be reported as a no show to an admin. If a contestant chooses to forfeit a match, they will forfeit any prizes and if possible will be replaced by their opponent in the previous round. Protests must be made as soon as possible, or they may be ignored depending on the circumstances. If a player drops, the match must continue with the in-game tool "recover from replay" once contact with the opponent is made. In a re-hosted game each player has to chose the same race as they picked in the original game. If a player pauses a game they must state the reason for the interruption and how long it will approximately take. The game can only be resumed by the player that paused the game after they asks their opponent if they are ready. Violation of this rule are handled as unsportsmanlike behavior and can lead to a re-game. Observers are allowed only if both players agree. Exception to this rules are ESL admins and people that are explicitly allowed to observe by an admin (e.g. shoutcasters or streamer). Under no conditions is it allowed to play with referees other those decided by an admin. Players should only allow observers they trust. It is not allowed to protest after a match to complain about observers that were allowed in the game. The only way to surrender a match is to using the surrender function in-game. Saying "gg" or similar does not count as surrender. If your opponent types "gg" or similar while you believe they are at a disadvantage, you should continue to play to win, until the game is won, or they have surrendered. Any actions that result in an unfair advantage are illegal. This includes bug using of any kind. The usage of barcodes accounts is forbidden. All match media (screenshots, demos, etc) must be kept for at least 14 days. In general, you should upload the match media from a match to the match page as soon as possible. Faking or manipulating match media is of course forbidden and will result in severe penalties. Match media should be named clearly based on what it is. It is not possible to file a protest or write a support ticket to complain about bad match media naming. However, if an admin is hindered in their work because of bad match media names then it can be punished for. Both players are responsible for uploading the replay of the match to the match page as soon as possible after the match. In general, a player can receive up to 6 penalty points, and a team up to 4 penalty points per match, unless a single violation has a higher punishment. A team is only punished once per violation, regardless of how many players. Where a player or team receives penalty points for multiple violations, the penalty points are added together.